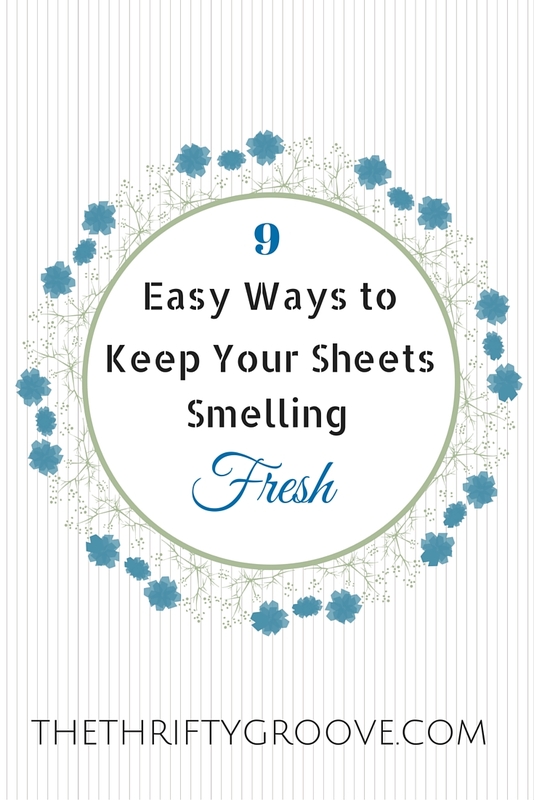 The Thrifty Groove: 9 Ways to Keep Stored Sheets Smelling Nice! 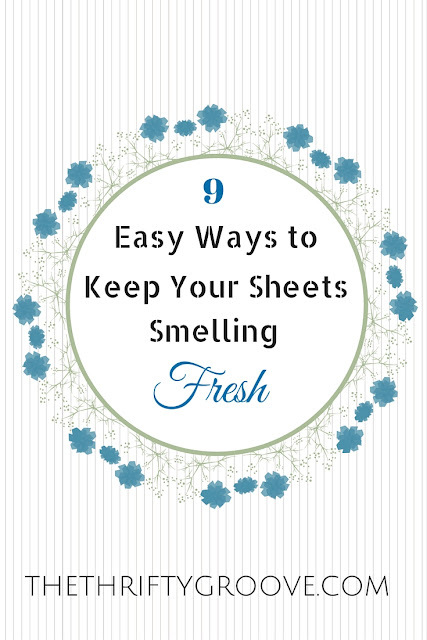 9 Ways to Keep Stored Sheets Smelling Nice! Making your bed with fresh clean sheets that smell nice is one of my favorite things! It feels like a little luxury but it doesn't cost anything! There are several little things I do and use to add that extra little touch to scent our sheets and keep them smelling nice when they are in the linen closet. Treating ourselves and our home special are important. And it takes little to no effort! How to Keep Sheets Smelling Nice! This is one of those simple and easy to do things that doesn't cost you anything but, can really make you feel special when you get into bed at the end of the day. And you deserve that feeling! When you buy new sheets keep that plastic zippered bag that they come in to reuse. Store your unused sheet sets in them. If you don't have any of these bags, after you fold your sheets and pillow cases, save one of the pillow cases to tuck all of your sheet set into. 2.) I will spritz a couple of cotton balls with my favorite perfume and add them to the bag. 4.) Use a drop or two of your favorite essential oil on a cotton ball and place in bag. 5.) No essential oils? Use a drop or two of vanilla or any other extract. 6.) I use white sheets so I often sprinkle a little bit of baby powder on them before I fold them up and put them in a bag. You could pour some powder into a baggie. Leave it open and tuck it in. 7.) Rip out those new perfume scented ads from magazines and tuck them into the bag. 8.) Make a sachet by cutting a square of a rag and place fresh herbs (crush them a little with your fingers to release the scented oil) in the middle of the square and gathering the fabric and tie it. (If you don't have fresh herbs use dried). 9.) If you have a favorite scented shampoo or body wash, pour a little on a couple of cotton balls and put them into a left open baggie and tuck in the sheet bag. I know many of you are allergic to different scents so, I hope you will try the fresh herb or essential oils/extracts. I also use the methods above in my lingerie, underwear and sock drawers. You can also tuck these cotton balls/baggies/sachets into coat closets, stored suitcases, your car and "not being used" purses or shoes. A special thing to do for your home that won't cost you any out of pocket money and will make you happy! Do you have any other suggestions for keeping your stored sheets smelling nice? Or do you already do any of the above ideas? Thank you for stopping by for a visit with me. Have a happy and thrifty day!